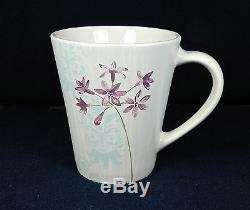 The pattern is dishwasher & microwave safe! This pattern had been discontinued! Description: The base color of the glass is white, there is a light blue edge band on the bowls and the border area of the plates have a faint light blue shadowed floral band. 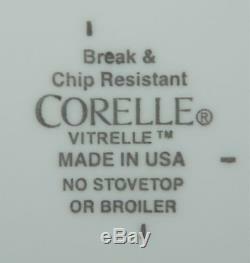 Here is a list of the pieces: Four 10 1/4" Dinner Plates Four 7 1/4" Salad Plates Three 9 Luncheon Plates (Hard to find)! If you live on the East or West Coast or in Florida it will be much more! Postal rates are increasing every year! The item "22-PIECES OF CORNING CORELLE GLASS SUMMER MEADOW PATTERN DINNERWARE" is in sale since Friday, February 17, 2017. 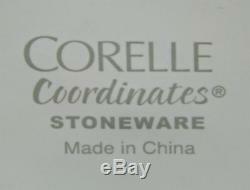 This item is in the category "Pottery & Glass\Glass\Glassware\Kitchen Glassware\Corning Ware, Corelle". The seller is "manofglass1" and is located in Strum, Wisconsin. This item can be shipped to United States.